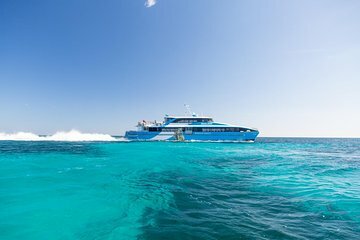 Save time spent waiting in line by pre-booking this SeaLink Rottnest Island round-trip ferry ticket from Fremantle. Choose from three different morning departure times to best organize your time spent in Rottnest Island, a protected nature reserve affectionately called “Rotto” by locals. The first ferry leaves Fremantle at 7am and the last ferry departs Rottnest around 8pm. Seem less crowded than the other ferry company. Nothing in particular that I didn't like.